FACILITOR Mobile enables the use of FACILITOR from mobile devices like smartphones and tablets. End-users can register calls and reservations from anywhere, while technical staff can access task-critical information and close calls on-site. The use of SMS allows FACILITOR to alert technical staff to high-priority calls instantaneously. 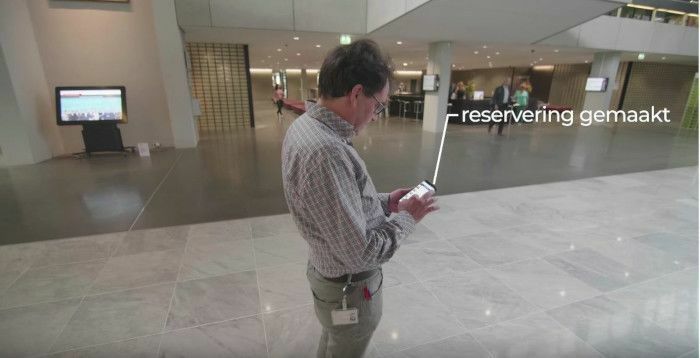 René Ermers, Provincie Noord-Brabant makes a reservation by smartphone.